I want to get the smoke out of the air where my children live. I want lower energy bills. At BECT, designing duct systems, the most challenging data to find is the pressure drop across filters, “Y”s, evaporator coils, register boots, start collars, ducts, plenums and grills. Once we have all that data we input it to Wrightsoft software and we can prove/know/model the performance of the airflow. Without all those we are making educated guesses, hopefully correct. Many of the components of a duct system are difficult to find pressure drop numbers for. Knowing that, we can eliminate variables and work with what we know to be true by specifying low pressure drop components. Oversized evaporator coils, up-sized return ducts and proven air filters matched to filter boxes with lo-resistance grills fit that bill. Below is a note from 3M to a user about their filters and how much other manufacturers’ filters rate RE: MERV and pressure drop in inches of water column. This is critical data when designing a high performance duct system. “SUMMARY: The Ultra Allergen 1500MPR (for 1 inch depth HVAC) is the LOWEST pressure at 0.15 (vs .20 for the MPR 600). So it didn’t make sense for me to go for MPR 300, MPR 600 or MPR 1000. Generally speaking, for most residential HVAC systems, the filter will become restrictive when it reaches a .5 pressure drop. All of our filter media fibers are polypropylene and polyolefin plastic which will remove particles that measure 3 to 10 microns. Allergen Deep Pleat 1550 (4″). Pressure drop is a measure of air flow resistance. It is measured by inches of Water Column (W.C.) at 300 feet per minute (FPM). Clean/new filters are not restrictive to air flow. Filters will become restrictive if they are not changed when needed. A filter’s life is actually determined by the user’s living conditions and will vary for every user. Generally speaking, we recommend changing filters approximately every 3 mo nths. To determine when the filter needs to be change, we suggest holding it up to the light. When you cannot see light through the filter, it is ready to be changed, even if it is before 3 months. If you are concerned about airflow, you might want to use the filter with a lower pressure drop. Compare the above when choosing filters. Doing so could be the difference between staying below .58 watts/CFM when doing Fan Watt Draw HERS tests. First you need the airflow to pass Total Airflow HERS test, then you need low watts from the motor to pass Fan/Watt Draw. Please make sure that the registers are sealed as in the photo below, before BECT comes to test the system for duct leakage. Seal the register boxes to drywall or hardwood floor with UL 181 aluminum tape as shown below. Register sealed to drywall with Al tape. Unsealed boot in drywall, on ceiling. This won’t hold air. Unsealed 1950s boot in hardwood floor, unsealed. 1920s register boot, unsealed to plaster yet painted black. Also, please make sure that your forced air unit set on the highest speed so that you can achieve 350 cfm/ton​ for the 1. Total Airflow Test and 2. The Fan/Watt Draw Test. Also, don’t forget to drill a 1/4 inch hole in each side of the plenum (both supply plenum and return plenum) and mark the hole, HSSP, for Hole for Static Pressure Probe. Put aluminum tape over the hole but make sure marking is visible for HERS test. If those access holes are not there – you’ll need to do it at the test. They are so that someone can insert a probe on each side and see the difference in temperature and humidity changes before and after the air moves through the evaporator coil. If you have any questions on how to seal it, we also have a video on our website detailing how to properly seal your ducts. Click this link here to watch the video, http://bect.us/videos/. You can also watch our other videos on energy efficiency in the home on BECT’s YouTube channel. Check it out here, https://www.youtube.com/channel/UCAd8LCb6fzHAkzqOu9loGrQ/videos?view_as=subscriber. I am writing to request that you to approve Wrightsoft software to perform title 24 energy compliance (performance) for residential alterations and additions in California. I am told that the software is now able to perform compliance for new homes but not for alterations and additions, the far more common jobs found here in the San Francisco Bay Area. I have been using Wrightsoft for the last year and am extremely impressed with it as a tool to perform load calculations, duct design and equipment selection. As a HERS rater I see failure to perform to code every day in the HVAC systems I test, with about 75% of them fail to move enough air in AC mode. Having HVAC systems be designed properly yields systems that perform to those design standards. I understand that the CEC is now evaluating Wrightsoft. If that is so, I ask you to accelerate the evaluation and allow Wrightsoft to be used in title 24 compliance in alterations and additions. It is my understanding that 1% of California residential HVAC changeouts get load calculations done. This must be why I see such wildly oversized air conditioning systems in my testing. Allow Wrightsoft to be used for T24 compliance in Alterations and additions. Compel the Contractors State License Board to teach HVAC contractors to use load calculation software and that calculations, design and equipment selection is code required. Sponsor classes to teach HVAC contractors how to use load calculation/duct design software. Encourage title 24 consultants to use load calculation software and do both compliance and design. Doing only compliance misses the greater point of creating heating/cooling/ventilation systems tailored to a particular house and actually achieving efficiency and performance. I see “T24 compliant” houses fail HERS tests every day. If you need any help, please do not hesitate to call me. Thanks for your help in creating an energy efficient economy in California. A lovely guest house in the country. Brand new, white, gleaming and beautiful. The owner is British. I tested the performance of her new HVAC system. It failed three HERS tests. I explained to her each of the tests and why the system failed. The ducts leaked too much air. The system did not move enough air for the size of the air conditioner. Why? The return ducts are either too few or too small. The MERV 8 filter installed is restricting air flow so it should be bigger or perhaps there should be two of them. The 2017, airtight, well insulated 1500 square foot house with low e, argon dual pane windows doesn’t take much to heat or cool. How did it end up with a 3 ton AC and restricted, leaky ducts? The homeowner told me that it was “like Italy in the 1960s.” A top-heavy bureaucracy well insulated from those doing the actual work or needing to get things done. The individual people are often brilliant, but people are not working together. Some were also incompetent. We have a real problem in the SF Bay area with HVAC contractors installing air conditioning systems without following the CA energy code’s “Mandatory Measures”, nor CalGreen. Every day I test new systems that have not been sized and designed as per code requirements. This yields systems that use more energy and provide less comfort. This has a real effect on energy use in the SF Bay Area. These improperly designed system can last 30 years or more and will waste energy daily ’til near 2050 when they will fail. California Title 24 Energy experts say that 1% of residential HVAC systems are properly calculated for sizing and have their ducts designed per the specs in Title 24. Only 10% get permitted and tested. Of course, the Energy Commission did not make up these design specs. They use the Air Conditioner Contractor’s of America Manual J, Manual D and Manual S sizing, duct and register grill design specifications. Sadly, there is no continuing education from the Contractors State License Board for HVAC contractors. Hence, they have no idea of what is in the California Energy Code or how to build comfort system that conform to it. We are now in the 2016 energy code. Builders and HVAC contractors are nowhere near understanding what is in the current code or how to meet it. At the same time we are nearly 2 years away from the 2020 energy code when new buildings will be “Zero Net Energy”, meaning that houses will generate as much energy in a year as they use in a year. We have a lot of work to do to educate the building industry workforce in order to get up to speed with upcoming code changes. Let’s fix this problem. Just like engineers design our building so they stand up to earthquakes via code required structural design, let’s have our HVAC systems engineered per our energy code. We need to require building department design review first, before permitting these long lasting, energy using systems to get built. CSLB and California local Building Departments, please get up to speed educating the building industry workforce and enforcing the energy code so we can increase energy efficiency in residential buildings in California. We are only enforcing part of California’s science and engineering based set of rules about how we use energy in buildings. In our state, before we build buildings, the plans must pass a set of rules that state what must be done to pass code. CAL Green and the HVAC requirements clearly state these requirements in order to achieve energy efficiency. However, while the plans all pass energy code on paper, once in the field 99% of what happens is that HVAC systems are not sized, selected according to national engineering societies standards that have been recommended for half a century. Instead of using standard, accepted engineering software to size and select the furnaces and air conditioners, contractors size according to crude rules of thumb more appropriate in the Nixon administration. I was just in a custom house 30 minutes from Silicon Valley. It was 3500 square feet, beautiful and perfect. However, the HVAC contractor sized the air conditioning systems (two) to 375 square feet of house to a ton of air conditioning. This house has two four ton air conditioners. It also did not have enough airflow to satisfy either system. The contractor got the sizing wrong because he guessed at the duct and return sizes. The house is done and ready to sell but he now must cut more holes in the ceiling and install new cold air returns. There was not a speck of dust in this house and now it is time for little remodel of the dining rooms ceiling with all the dust it entails. This goes on every day. California energy specialists state that about 1% of CA house have their ducts, furnaces and air conditioners designed in approved software. Energy experts I ask say about 5 percent of CA systems get HERS tested. How to fix the problem. Enforce the CA energy code HVAC Mandatory Measures and CAL Green Requirements. It is so easy. Just like one submits drawings or engineering to building departments to prove that houses will stay standing in an earthquake, contractors will submit the plans for the equipment they install. Here is how the improvement to many AC system 30 years old. These are long lasting systems. In consequence to their substandard design considerable energy is wasted. Properly sizing duct systems reduce callbacks to fix bad work like the contractor above. Guessed together systems also provide un-comfort and stop air filtration from happening properly. The great benefit of following the code is that HVAC systems then actually pass the HERS tests that are required. No trial and error remodels on brand new systems. California Building officials, what would it take to get you to require that HVAC contractors submit an approved plan generated from an approved method. Someone has to come up with the plans, otherwise the result is brand new air conditioning system failing energy performance tests. I know that if I had the power and the resources, I’d tell every building owner investing in new equipment/systems, general contractors responsible for their subs installing expensive capital equipment and the HVAC installers that they must produce a design before installation. This will guarantee that systems perform properly, and building owners and residents, perhaps you and your family get the comfort you have paid for. I’d like to let you know about some failures in the energy code system as I see it in the field as a HERS rater testing alterations of existing houses and new houses. I work from Silicon Valley to the Wine Country, up and down the Peninsula and in the East Bay Area. I am usually in two or three houses per day. I’ve owned Building Energy Compliance Testing, www.bect.us since June 2014. What I see is that the only time a house gets HERS tested is when it is new construction, there is an addition or major remodel and it includes a new furnace and ducts. If a homeowner just gets a new HVAC system, it rarely gets permitted and tested. I’ve spoken to other HERS raters and energy consultants, we all suspect that only about 5% of new or altered HVAC systems in California get HERS tested. Every time I go to a job and meet an HVAC contractor I ask them how they sized this system. They almost always answer, “Square feet.” When I dig deeper into it, they often tell me that the rule is 500 square feet per ton of air conditioning. Often times, they tell me that the guy at the supply house told them what size to buy. I tell them that the state of California requires ACCA Manual J, D and S calculations. I have one client who I know uses Wrightsoft calcs on every job. This lack of design before construction causes real problems. I often see 5 ton AC systems on smaller houses in fog banks. Contractors usually fail airflow tests because they wildly undersize cold air returns. This makes the testing process a burden to both the homeowner who can’t get the job “finalled” and has to pay for multiple HERS tests. These big AC systems contribute to peak electric loads, uncomfortable houses and high energy bills. The problem is with the building department when a job is permitted. When one submits plans for an addition or new construction job to a building department they require structural engineering. What they don’t do is require the engineering on the HVAC system even though the builder or owner signs off on Calgreen and the T24 report and mandatory measures. Calgreen includes 4.507.2, stating that heating and AC systems shall be sized, designed using ACCA Manual J, D and S.
There is a real disconnect here that needs to be addressed by the CEC, Building Departments and the Contractors State License Board. I’d like to get the heads of these departments in a conference room and have them figure out a way to get energy code compliance above 5% and closer to the majority of jobs. While I love the fact that the CEC is taking us to Zero Net Energy buildings by 2020, I find it absurd that 95% of current HVAC jobs are not achieving the 2016, 2013 or any other year of the code. HVAC contractors could be the champions of building an energy efficient economy in California. However, what I see is that the vast majority of them are actually outlaws or skofflaws, ignoring codes and evading local building authorities. Aside from energy codes, these contractors are making electrical and gas connections as well as installing flues to hopefully rid houses of poisonous combustion gasses. These three things are all able to kill people and deserve to have another set of eyes on them. Deaths from carbon monoxide are not a rare occurrence. While I am on the job inspecting and testing HVAC systems I look at the insulation installation. Generally, attics are poorly insulated and general & roofing contractors do not use radiant barriers. When this bad combo exists in the attic, homeowners buy air conditioning systems, (even in the foggy Bay Area). We in the energy efficiency industry should be helping building owners install these systems so as not to need compressor cooling and the energy it takes in late in the afternoon at peak load. 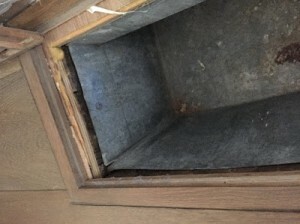 Attic hatches are not sealed or insulated in most Bay Area houses. In about the last 90 attics I’ve climbed into, I’ve found 3 that actually have attic hatches that are air sealed and insulated. Insulation contractors just don’t do this. I suspect that since there is no HERS attic hatch inspection no one else cares. In my experience, City building inspectors pass any insulation installation no matter how poorly installed or how many gaps there are around boxes or can lights. Q: When is an R-39 attic actually an R-33.85 attic? A: When the attic hatch is unsealed and uninsulated. Get the majority of HVAC contractors to have their work inspected and HERS tested. Make contractors responsible for 4.507.2, sizing HVAC systems before they build them. Have insulation installations inspected and enforce proper installation. Have attic hatches inspected for air sealing and insulation. Require HVAC contractors get continuing education in the energy code. I know this is a lot to ask but I request that you coordinate and work with other state agencies like the CSLB and organizations of local building officials to actually enforce the California building energy code. If there is anything I can do to make this a reality, please let me know. Please do not hesitate to contact me with any questions. My goal is to build a post carbon California Economy. It happened again, yesterday, doing a HERS test on a new house, HERS testing the air conditioning system. This was the third time I was at this house testing. The technician, not an HVAC contractor but a tech hired by the owner, had added another duct to coax the 5 ton air conditioner into blowing 1750 cubic feet of air per minute, the minimum required by code. The system did not perform to code. It moved 1600 CFM but not the 1750 required by the State of California. We looked at his work. He’d added a shiny silver drooping limp flex duct connected to a small return filter box. He told me there was nothing more he could do. I suggested pulling it taught in a straight line to the return. He didn’t think that would work. He really did not like my alt suggestion of a straight metal duct to reduce air friction. I exited the front door with him. He threw is boots hard at the driveway and cursed in anger. I could sense deep frustration and a man who probably won’t get paid until the job passes. I felt sorry for him. He did not know that these systems are supposed to be sized according to manual J, Manual D and Manual S in software such as Wrightsoft. The owner or builder had signed off on building to the Calgreen checklist which states that the HVAC system will be sized according to Manual J, D and S. Apparently, no one took that seriously. The City of Orinda building department never asked for this basic engineering. Hence, it never got done. In these Building HVAC Requirements, under table 4-11 (Standards Table 150-D): Return Duct Sizing for Multiple Return Duct Systems, there is a line that shows a 5 ton air conditioning duct system having two 20 inch return ducts with a minimum gross filter grill face area of 1500 square inches. The system I was testing did not have anywhere near 1500 square inches of filter grill face. It had two filters equaling 768 square inches, about half what code is requiring. If this system had actually been designed rather than guessed together by a person using some “rules of thumb”, it most probably would have passed the first time. The problem is that this is the 3rd time I’ve seen this in a ten days. It happens all the time in the affluent, well educated San Francisco bay area, home to so much energy efficiency research and development. I usually ask air conditioner contractors how they sized the system I’m about to test. Almost invariably they tell me they use the “square footage rule”. “What is that?” I ask. They then explain that for every 500 square feet of house they put in a ton of AC. Easy! 2500 square feet of house equals 5 tons of AC. System sizing complete! Sometimes they admit that the guy at the supply house told them what size was needed. We know the problem. HVAC contractors and unlicensed technicians who install HVAC systems don’t size those systems according to protocol of the Air Conditioning Contractors of America. The results are brand new, shiny yet poorly operating systems that will waste energy and perform poorly for decades to come. Here’s the solution. City Building Departments must get manual J, D and S designs before contractors can build that system. Just as seismic engineering is required for buildings before they are built, so to can we require that mechanical systems be engineered before they are built. Then we just have to work with the problem that the residential HVAC industry evades building departments permits and code HERS testing some 90% of the time. Hi, I am George Matthews of Building Energy Compliance Testing, BECT, of the San Francisco Bay Area. BECT is sponsoring the Corbett and Grace Lundsford of the Building Performance Workshop to come to Bay Area with the tiny house that they built as a tiny building science laboratory and idea house on wheels. This is their Tiny House/Proof is Possible – US Tour 2016. Corbett wrote the book on home performance diagnostics, literally, here it is. Corbett is a superstar of building performance and energy efficiency who had created scores of high quality building performance diagnostic videos – Here is your chance to meet and learn from him. Corbett, Grace and their baby daughter Nanette (and two cats!) are traveling across the USA showing off building energy science and diagnostics in their tiny house lab and they need some places to park it give tours and classes plus show it off from October second to the eighth 2016. That’s next month! City of San Francisco, Berkeley, Palo Alto, San Jose, Sonoma County – You are the leaders in civic energy. Can you lend us a parking spot next to your Building Department? Please contact us at 510 520 4443 or bectesting@gmail.com if you’d like us to come to your parking lot with curious people. I keep running into HVAC contractors still unfamiliar with HERS duct leakage tests, total airflow and fan/watt draw tests to pass in the 2013 California Energy Code. These are key in making sure that you are taking all the precautions in ensuring energy efficiency. This is from the BECT.US website for all to see but I keep having to explain it while a distraught contractor, technician or homeowner asks what is wrong. Air conditioners need to have at least 350 CFM per ton of air flow. A/Cs need to use 0.58 or fewer watts per cubic feet of air flow. This is the code absolute minimum. Here, more airflow is better. You’ll need to have the cold air return properly sized. See above. Again, Bigger = better. I keep running into contractors with wildly oversized furnaces and air conditioners who balk at the idea of using anything larger than a 16″ return duct or that two large returns might be better than one small one. You’ll need to state the airflow the filter system is rated for. The registry will want to see .05 inches of water column of pressure in the return and .10 in the supply. Are you sure the return grill from 1955 (heat only) is big enough for the new system (with AC) in 2016? You’ll need to tape the sheet metal boots to the drywall or flooring. 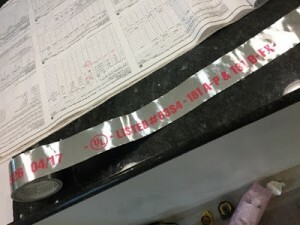 Use UL 181 aluminum tape. You’ll need to mastic over the tape that is sealing your system. Really, yes. (Note: the secret ingredient here is air duct mastic. Use it liberally. Put it on every connection. It is cheaper than having to pay a HERS Rater to come back and retest the system.). It gives me such joy to see a system that holds air when I set-up the duct test equipment. I hope that you enjoy it as well. Postwar, 1947 tract house on 1/3rd acre lot is inundated with sun since the old trees died. The owners are doing a remodel. West facing single pane windows let in ample sun and warmth on a February 1st afternoon. By April or May it will surely feel like a furnace. New, California Energy Code level windows formulated for western orientation will make the dining/living room more comfortable year-round. The house has no insulation in the floor or walls. The ceiling has about 3 ½ inches of old, disturbed, blown in insulation. Building a dam around the fold-down access stairs and furnace and insulate it to R40 (about 14 inches of blown-in cellulose) would make the place far more comfortable and cause the furnace/AC to run less often. The crawlspace is open and ventilated to the outside with no insulation in the floor. Many would suggest adding R19 fiberglass insulation to the bottom of the floor. That is an imperfect way to go. A more interesting and healthy option is to encapsulate the crawlspace. This action can not only keep the floor warmer in the winter but keep the nasty air from the crawlspace out of the house. I’ve read articles stating that over 40% of the air in a house comes up from the crawlspace. Below is a before and after pic that shows the visual improvement. The lower pic shows how a crawlspace can become a semi-conditioned sub-first floor that seems more like an operating room than a crawlspace. The water heater is a standard .62 tank water heater that takes up a significant amount of space in the garage. The owner mentioned how an expanse of pipes makes the cold water hot in the summer months. An upgrade to an instantaneous gas water heater could both free up space and provide energy savings. The pipes could be insulated to reduce heat gain. The house has a newer large furnace/air conditioner system that appears to be well sealed except for a small leak on the right hand side of the furnace. Place UL 181 aluminum tape on the corner of the plenum to seal it. The flex ducts appear thoughtfully sealed however they all leak unless there is mastic on the joint of duct to the plenum. 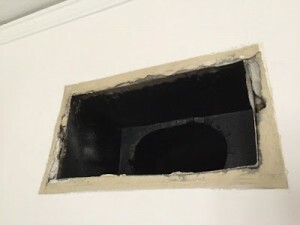 Twelve dollars worth of air duct mastic and an hour spreading it around every duct connection would surely keep more air inside the system and the house rather than in the attic. Doing the above items would render the house more comfortable and lower the energy bills. How much? To learn that, computer energy modeling is necessary. Your energy consultant could easily model them and assign dollar values. The nice thing about the upgrades is that they offer non-energy dollar benefits of improved air quality, added space, improved thermal comfort, and energy efficiency. Find us on Facebook, Twitter and Google plus! Reasons why HVAC Contractors (and the Developers they work for) Fail HERS Tests. This week I had two notable tests where the developers of a brand new houses failed his HERS test. These are new houses built under the 2013 California Energy Code. Both houses had HVAC systems that failed to move enough air to satisfy the Total Airflow requirement when there is air conditioning. Both systems had the largest residential air conditioner that one can buy, a 5 ton condenser and matching evaporator coil. With a 5 ton condenser, to provide 350 CFM of airflow per ton, you’ll have to provide 1750 CFM. This week’s problem units had 1230 and 1410 CFM. Given those numbers what does an HVAC contractor do to solve the problem so that he can satisfy his client and pass the code requirements so that the house can pass final inspection? Pick one strategy. Rewire the control board so that the system is actually in the highest speed. Replace ducts, especially the return ducts, with bigger diameter replacements so that the airflow will increase. Change out the motor in the furnace or air handler to an electronically commutated motor to get a higher airflow. Change out the condenser for a smaller size so that the airflow/ton rule is met. Tear out the system and hire an HVAC contractor who will actually perform a manual J, Manual D, manual S and Manual T so that the system is guaranteed to move the proper amount of air to each duct and each room. I’m still waiting to hear back from the owner/developer to hear how these went. However, in the last 6 months I’ve seen contractors and owners do A, B, D and E. I’ll comment on each strategy. Rewire control board connections. – This is a common problem I see weekly where a tech will change the wiring and/or the dip switches and the unit immediately moves more air to pass the AF test. It shows why the HVAC contractor really wants to have a tech on the job when the HERS testing happens. Replace ducts. I see this fairly often. The HVAC contractor adds another return to the master bedroom or enlarges the return duct from 16 to 19 inches, more airflow happens, and the problem is solved. I have never seen this one done but know from PG&E sponsored commissioning classes that one can use Motormaster software and dial-in a properly sized motor for any application. That same class will tell you how extremely common it is to find wrong sized motors, pumps and fans throughout the built environment. Change out the condenser for a smaller unit. If you have a 5 ton system that is delivering 1230 CFM, changing to a 3.5 ton condenser works. Just changing the condenser may be easier than re-doing the ducts. Make sure it is 14 SEER, 13 no longer passes. Owner tells HVAC contractor to pull out non-code compliant system and hires contractor B who follows code and performs load calculations, duct design and then tests the system himself to make sure that every duct and every room is getting the airflow that the right-soft software said was necessary for proper performance. This one happened to a contractor a few weeks before Christmas. The contractor was expecting to get the final $14,000 payment mid December and pay his supplier and employees. He probably would have used that money to buy some Christmas presents for his family. Instead, that guy got a tough lessen in why a contractor needs to conform to the code. While testing at BECT.us I have come across a number of air conditioning systems that do not meet the total airflow and fan/watt draw levels of performance that the code calls for. When this happen the HVAC contractor has to redo the return duct design and then install it at significant cost of time and reputation. It shows that the system was never actually designed but pieced together using a best guess. There has got to be a better way. The CEC has just sent out an update of their filter grill requirements which are a critical part of the return duct system. Here is there update. When complying with the Alternative to Section 150.0(m)13B, the nominal size of the air filter media should be used to calculate the minimum total return filter grille gross area. If the air filter is not located at the filter grille, use the nominal size of the filter grille to determine the area. The calculated area must be equal to or greater than the values in TABLES 150.0-C or D.
Each return duct must be no longer than 30 feet. Each return duct must not have more than 180 degrees of total bend. If the total bending of a return duct is more than 90 degrees, one bend must be a metal elbow. Return grille devices, which include the air filter and return grille locations, must be labeled in accordance with the requirements of Section 150.0(m)12A. I’ve seen some contractors who were shocked at how much filter area the code was calling for. Of course, the best way to make sure that the filter grill requirements are met is to use a proper duct design system such as Right Soft. The vast majority of installations that I see are not designed at all. I hope that bringing this to light could alleviate some of the pain I’ve seen in the eyes of someone who has to redo their hard work often in a sweltering attic. BECT’s video at http://bect.us/contractors/duct-test-and-sealing-video/ demonstrates how to get your HVAC system to pass a code duct test. It’ll show you how to seal the connections on any HVAC system. When you understand that, you can seal all the connections from the furnace to the plenum to the start collars to the ducts to the boots to the interior of the house. When you do that there is not much room for the system to leak air. You’ll need the right supplies first. California Code requires that all supplies in the duct system must be marked UL 181. At any big-box home supply store you can buy air duct mastic, tape (Separate types for flex duct and metal to metal connections), big zip ties, a disposable paint brush and disposable gloves. You’ll also need a zip tie tensioning tool. Tape alone won’t get you as far as you need go to get ducts sealed properly. The best technique is to apply a thick coat of air duct mastic over every single connection. This will seal up any imperfections. The day before installation, paint all the metal “wyes”, start collars and plenums with mastic. This will create solid connections where air is less likely to leak. When you connect the ducts to the start collars and boots make sure to use a hand tensioner tool and get the connections tight. There is an inner and an outer lining to flex ducts, make sure that you zip tie and tape both layers. 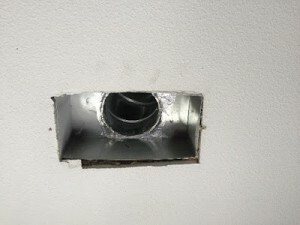 Then, on the outside layer, seal around the whole connection with air duct mastic. Be comprehensive about the this process. It is much easier to get it done right the first time rather than staring at a seemingly sealed duct system and wonder where it is leaking. I’ve spent too much unpleasant time with with contractors standing there telling me that “It can’t be leaking!” when the manometer tells us otherwise. Your work will pay off. All the technical reports I’ve read about well-sealed duct systems say that they just work better, are more energy efficient, stay cleaner and need less maintenance than leaky duct systems. While new duct systems can get away with 6% leakage in California, crews who compete with others in their own company routinely get down to 3%. There are some elite HVAC companies who call themselves Home Performance Pros who make it a matter of pride to get their ducts so tight and well constructed that the test equipment we use can’t even register the duct leakage, it just says, “low”. “Low”, that is something to shoot for when constructing a new duct system. Go for it. As a HERS rater I travel all over the San Francisco Bay Area and test HVAC systems for code compliance. What I so often see is systems that just barely scrape past the code requirements or are over and need more work to get them to pass the duct test. Recently I learned about a club of HVAC contractors who actually pass the test so well that the test equipment can’t even read how much air is leaking from their systems. That is because there is almost no air leaking from their ducts, fittings and air handler units. How do they get these contractors get their systems to be so air-tight? To begin, there are only eight HVAC contractors in California who are building HVAC duct systems so tight as to earn their way to the “4 Ring Club”. Ring 4 refers to the Energy Conservatory duct leakage test system’s #4 ring which is the smallest. It is the one used on the smallest and most leak-free systems. These installers build ducts that even Ring 4 can’t register. These elite contractors can be found at http://ring4club.com/. They are all Home Performance contractors, a title that discerns them from standard HVAC contractors. They install high performance comfort systems. They are the hot rodders of the HVAC world. What do they do differently? One, they see the house as a system and create larger work scopes than standard HVAC contractors. They start at the shell of the building and do a home energy retrofit rather than just “changing out the box” or replacing an old furnace or air conditioner with a new, usually same sized unit. These techs do it by the book. They do a manual J heat load calculation, manual D duct design and a Manual T register design to dial in performance to every part of their HVAC system. When it comes to installations, what they do differently is to actually commission their work. This means that after the work is done, and even during installation, they test every performance aspect of their work. 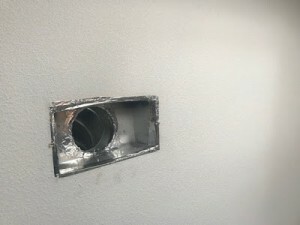 Regarding ducts, they paint every piece of metal duct connections and any part of metal to metal with a thick application of air duct mastic. Secondly, they properly clamp the flex ducts onto the sheet metal. Here, properly means that instead of hand tightening the zip-ties over the connection, they use a tensioning tool such as http://www.homedepot.com/p/Malco-Manual-Cut-Off-Tensioning-Tool-with-Grips-TY4GTS/100161814. A recent Home Energy Magazine article notes that the difference between hand tensioning and using a tensioning tool is significant air loss. Lessen: use a tensioner for tight ducts. As a HERS Rater who tests duct systems all over the San Francisco bay area and the Silicon Valley, I confront system failure all too often. Every day I see brand new heating and air conditioning systems that are woefully sub-optimized and fail to comply with California’s 2013 energy code. When those systems finally do pass they are usually skating just under the legal limit of duct leakage and air flow for air conditioning. Yesterday I attended a PG&E sponsored energy efficiency class, Optimizing Residential HVAC System Performance. The class reminded me just how much that we, as an industry, know about HVAC systems, their optimization and have the ability to build, if we care enough to do so. The presentation showed a group of HVAC contractors who build their duct systems so air-tight that the lowest setting on their test equipment shows “error”. These contractors take delight in the fact that almost no other contractors can match their specs when it comes to air tightness. At this performance level, there is almost no competition. Other highlights of the class, the instructor showing how he took an 18,000/40,000 btu per hour furnace and disconnected the high end. The reason he could do that was because he actually did the load calculations and knew just how much heating and cooling the house needed and provided just that. He actually designed the return system so that it did not constrict airflow and complied with the 2013 California code. He made the duct system as short and low resistance as he could and then built air registers that were designed to throw the air at the far walls with engineered grills. After completion, he commissioned the system and did a room by room airflow test and balanced the system. Wow! It was such a change from what I usually encounter that it seemed like a different industry. In the field I see contractors struggle to get 350 cfm per ton of air conditioning. In the class, the instructor noted that California’s dry climate allows us to shoot for much higher airflows per ton such as 500, 600 or more cfm per ton. To do this one must learn how to hot rod the air handler. It is do-able, and it provides more energy efficiency and comfort per energy dollar spent. The longer run times provide better filtration and heat the house more evenly than an oversized system. One class technique was really interesting in terms of comfort provided. The instructor noted that he designed his heating system to blow air around 82 degrees F rather than 120 F. This, and the longer run times provides room air temperatures that are within a few degrees from floor to ceiling. Hot air stratifies in a room, warm air, not so much. Again, this gives him a market edge, he can guarantee that there is only a 2 degree difference from floor to ceiling; market advantage. His competitors can’t match this. In a few seconds I can usually get a good idea if an HVAC system is going to be code level air-tight. If I see mastic on all the connections, I can be nearly assured that the system is going to pass without my helping to troubleshoot the leaks in the system. In my experience, people just don’t realize how thin and slippery air is. I’ll ask, “Did you use mastic?.” I’ll often get answers like “What’s that?” or “Oh that stuff… it’s really messy.” Then they go back up into a hot attic and try to and find the leaks. This is rarely a good experience. Doing it right the first time is a better strategy for profitability. We have a lot of tools at hand to help us build better HVAC systems and would benefit us, as an industry, to use them. The first is the energy code, anything below which, is illegal. The first thing one should do is to read the California 2013 Residential Compliance Manual. Another tool is the ability to do load calculations and duct design software such as Wrightsoft . My field experience shows me that load calcs are all-too-often crude guesses. This fixes that problem. HVAC optimization is thus, measure a building’s actual need for heating and cooling with load calculations. Specify efficient equipment that matches load calcs. Actually design a compact, low restriction duct system. Install the system so that it does not leak any measurable about of air. Install register grills that puts the right amount of air where it is needs to go at the right speed. Commission the system by measuring and balancing room by room duct air flow, duct leakage and total airflow at the return. We have the ability to build highly energy efficiency comfort systems if we use the tool s at hand. Using tools such as utility sponsored trainings, understanding code requirement and using available software design are the way to get there. Doing so can make a contractor more desirable to customers and hence profitable. It can also give one the existential pleasure of doing something well. Building an HVAC installation industry that does its job well can be a powerful tool toward building an energy efficient economy and low carbon future. Last Friday I got a chance to perform HERS combustion safety testing in low income housing in the East Bay in the San Francisco Bay Area. This is affordable multifamily housing that provides basic living to people of modest means. I tested a sampling of the large complex. Those eight units were instructive as to what exists, the problems and potential to make healthier places for modest income people, often with children, to live in. HERS testing comes from US federal building science research and development in our National Laboratories in the decades after the oil crises of the 1970s. Miniaturization and development of digital test equipment has allowed HERS raters to bring a powerful array of diagnostic test tools into the home. Proper ventilation, moisture and pollutant control are keys to healthy lungs and there was much room for cost effective improvement here. This is a public health issue as mold and common interior air pollutants trigger respiratory ailments, especially asthma with is at epidemic proportions in the US and common to low income American children. I was doing combustion safety testing because the units had old, inexpensive and common gas wall heaters and standard 40 gallon tank gas water heaters. Most all of the units failed some portion of safety test protocol. None of them would pass ASHRAE 62.2, the current standard for how much fresh air airflow a home requires for the respiratory health of the folks living there. The units leaked a lot of air although there was no powered ventilation in half of them. I put my manometer on them all. Some of them showed almost no change at what the Building Performance Institute calls “worst case depressurization” where we turn on all the fans and see how much of a partial vacuum we can measure with precision test equipment. This test is crucial because some homes have so much suction from kitchen fans that they can pull combustion gas (carbon monoxide and other pollutants) from the open-combustion gas appliances. The units had range hood fans over electric stoves and none had bathroom fans. Almost half of the range hoods I tested were improperly connected to the wall exhaust flue pipe. The maintenance man who showed me around told me that these were “recirculating” fans. The units all had an elegantly simple vent out through the wall of only 4 ¾” which offers little restriction to moving contaminated cooking air outside. The problem was, they weren’t working as designed, they were blocked. The simple fix was to cut out a square of steel in the back of the modest yet functional existing range hood fans so that they could work as intended to get contaminated air outside. The units had standard 40 gallon tank natural gas water heaters in the small garage. Nearly half of the garages were used as laundry and living areas. The space is just too valuable to put a car inside. The garages became changing rooms, laundry drying racks, offices and storage space. The first four units I tested had natural gas leaks at the water heater. Though fortunately small leaks, gas is unacceptable in people’s living and breathing spaces. Two of the eight water heater exhaust flues were not moving exhaust outside like they were supposed to. I could not tell if a bird was nesting in the flue or if it had ever worked properly. What I did see was combustion gases escaping into area where people breathe. My common thought about these homes was that they had poor or no ventilation. I could measure CO and natural gas leaking into the structures. What I could not quantify was the amount of laundry detergents/softeners, cleaning products, stale grease, off-gassing carpets & electronics, cat boxes and waste dust from skin mites. I saw no HEPA vacuum cleaners in any of the test units. Each unit had an old Williams gas wall heater. In my time as a HERS rater I have come to know these units as nearly ubiquitous in low income housing. Previous tests of these heaters showed common and serious test failures. I have found some of these units to spike to over 400 parts per million CO. I’ve had my CO tester spike off the chart, leaving it damaged and needing factory repair. What we found was that in units with carpet the dust and fibers from the carpet get inside the heaters and then burns during start up. What about a child living here when the wall furnace clicks on? If not retrofitting the furnaces with heat pumps, make sure they are vacuumed and cleaned a few times a year. The smoke detectors should also be tested semi-annually. This housing complex was built in 1966 at a time when lead paint and asbestos were standard construction materials. Energy was not an issue. Bathroom fans were not mandatory. Wall to wall carpet was a luxury becoming affordable. One positive thing about the tests is that every one of these two story units had a smoke and carbon monoxide detector at the top and bottom of the stairs. If there had been enough CO leaked, the units would eventually go off and warn the residents. However while there were CO and smoke detectors, there was nothing to signal the family there that micro-particles from cooking, the mites living in the carpet, the leaking gas and mold that were there and getting into children’s lungs. A few of the units had tile throughout rather than carpet which harbors dust and pollutants. The maintenance technician cared about the folks who lived there and was working with the management to update the units to a safe and healthier state. The folks in these units often fry their food. They often won’t report a water leak until the water has penetrated wood, forcing costly repairs with limited maintenance funds. This wet wood is a major cause of mold and the lung ailments that it triggers. HERS testing is primarily about energy efficiency but immediately runs square into human respiratory health in the home. The home energy/health connection is important to value. Both health and energy have known and rising costs. Seeing energy and health together, as a synergistic system, yields public health savings. Using energy more intelligently with well-thought-out building retrofits gets you to a place where people have a home environment that is more conductive to health. We as Americans have a childhood medical crisis on our hands. 6.8 million, or 9.8% of American kids have asthma. Each year they make 14.2 million visits to their physician with asthma as the primary diagnosis. Every year these children make 1.8 million visits to emergency departments with asthma as primary diagnosis. The number of discharges with asthma as first-listed diagnosis is 439,000 with an average length of stay of 3.6 days. (Centers for Disease Control and Prevention) A key trigger for childhood asthma is mold. This is a critical component in a 2012 study from New Zealand. This study shows how energy improvements in housing, and especially to low income housing, have medical health savings that save as much money as the entire lifetime of project energy savings. Meaning, that human health is the real economic driver of the project. Example: When energy upgrades happen, air leaks get sealed up and continuous fresh air ventilation becomes mandatory. This is often achieved with something as simple as advanced bathroom fans. The air quality and warmth from the additional insulation and ventilation gets rid of the conditions that harbor mold; namely relative humidity above 50%. For decades we’ve had had proof that energy efficiency in buildings improves worker productivity, lessens eye strain and headaches, improves student learning outcomes and contributes to selling more merchandise in retail. We know that workers in building that have had energy retrofits take fewer sick days off. The beneficial health side effects from the retrofits are freebies. The investments in energy savings pay for them. However, there is a new concept in how or who should pay for the energy upgrades; have a medical doctor prescribe it. The health inducing air-quality/comfort upgrade is worth more than the energy measures’s dollar savings. Energy savings become a side benefit of a more important and valuable job; providing kids the ability to develop disease free lungs, lessening the percentage likelihood of asthma. Larry Zarker, CEO of the Building Performance Institute, BPI was recently interviewed on Corbett Lundfords’ Building Performance podcast. Mr. Zarker mentioned how the difference of being able to afford these energy/health upgrades can be life changing. People’s eyes often glaze over when they hear about the details of an energy assessment and subsequent comfort / efficiency upgrade. But, what does it mean to a parent who has a child with a respiratory ailment? Zarker said, “This is exciting”. He describes a girl with asthma is able to avoid on overnight stay at a hospital and make her Saturday soccer game with the rest of the team because her asthma is under control. This is because of the house she lives in now has fresh air ventilation, is warm and has no mold. The bad alternative to this is a trip to the hospital. The medical bill for the overnight stay is $880. Avoiding four of those medical trips pays equals or exceeds the energy /air quality improvement lifetime dollar savings and changes a child’s life for the better. The home upgrade just doubled the value the energy investment that already made financial sense counting just energy. Lundsford noted that this flips the real funding driver. Economic savings data says that health advocates like the U.S. Department of Health and Human Services or your local doctor should be the ones prescribing energy/air upgrades. So who should be paying for them? A utility sponsored program with State public benefits money or some form of medical insurance either personal or health insurance incentivized? Sam Rashkin is the Chief Architect of the US Department of Energy Building Technologies Office. He is author of Retooling the U.S. Housing Industry. Rashkin has been educating American builders how to build Energystar program houses for decades. These are houses that have offer a higher level of comfort and energy efficiency by way of a long checklist of higher standards, best practice standards of insulation levels, efficient heating, air conditioning and ventilation, air-tightness and high performance windows. The houses are subject to a number of HERS performance tests like duct leakage tests and blower door tests and room-by-room air flow tests. The houses are proven to function well and give the owners a lifetime of low energy bills. Beyond EnergyStar for Buildings, the EPA has another home program called Indoor AirPLUS. This advanced home program builds upon Energystar 3.0 with checklists and details for moisture control, radon gas control, pest control, higher performing HVAC, control/avoidance of combustion pollution and indoor air pollution. Like so many above-code construction programs such as LEED, Green Point Ratings, Passive House or the German Healthy house movement, the programs set a higher bar than to “the building code”, the worst house you can legally build. Load calculations are the way to dial in the capacity of your heating and cooling systems so that they work at peak efficiency while delivering comfort. They are also required by California’s 2013 Energy Code, Title 24, Part 6. While software like Right-J from Wrightsoft cost $499, there is a new free option to do load calcs, Cool Calc. The software is web based and uses google maps and other on-line data to capture information about the house. The software won the Gold Award in the 2015 Dealer Design Awards. Many contractors still use crude and inaccurate rules of thumb to size their systems while putting themselves into potential legal liability. One of our clients was threatened with legal action after he used an old rule of thumb for sizing. The system he designed and installed did not perform to manufacturer specifications. The building owner had some testing done and threatened a lawsuit unless the system was done to specs. That contractor now uses Wrightsoft software and creates state-of-the-art installations. Most every day I see under-insulated and sometimes completely uninsulated attics. It is so easy and effective to insulate them and the benefits of comfort and energy savings are so great. Today I did a pre-solar inspection on a house from 1965. The attic had zero insulation. One would think that before the most advanced energy measure, solar electric generation, that one would do the type of energy measure that was done as a code requirement in 1970. However there is no trigger to make this happen. I recently tested a house on the peninsula. It had just undergone a $700,000 remodel to make it a mansion for a tech executive with a taste for Mediterranean style. It was going for sale for 2 or 3 million dollars. It was perfect. Except for the attic insulation. It had gaping holes in it and was more of a 1980s job than one fitting the 2013 California Energy Code. There was nothing I could do about it. No trigger. This is extremely common. What is highly uncommon is to see a properly weatherstripped attic access hatch door that is insulated. This is essentially a 5 square foot energy hole in most every ceiling in California. No radiant barrier on reroof or addition of ply to roof. I experience hot attics all the time. They don’t have to be that way. When reroofing it is easy to add Kool-Ply rather than old fashioned plywood or OSB. It costs about 10 cents per square foot to upgrade to the radiant barrier covered plywood. Back in the early 90’s it was common knowledge in energy circles that radiant barriers really worked. Carpenters on the job could tell the difference there under a roof with a radiant barrier from one without. It was pleasant under the radiant barrier and hot under old fashioned plywood. In some areas a radiant barrier in the attic could be the difference between needing air conditioning or not. Please specify Kool-Ply on your next reroofing job, new house or addition. No insulation on raised floors in houses with crawlspaces or basements. You don’t have to have cold feet all winter long and waste energy. You can really feel it. I insulated the floor of an old house. The tenant called me up to thank me. I did not tell him about the insulation, he felt it. I remember being told by PG&E people back in the 80’s that floor insulation was not cost effective. Don’t believe it. Insulation is not very expensive, it has no moving parts and will last til it gets infested with rats or gets wet. Rodent proof your crawlspace to keep rodents and their feces out of house. (Some 60% of air inside a house originates from crawlspaces.) Protect the air you and your family breathe. Get your floor properly insulated after you rat proof it. You’ll have happier feet and no mice. A brand-new 1970s era furnace! Your HVAC installer just sold you a 1970s era furnace in late 2015. This is in the state with the strictest energy code in the nation, the one leading the way in cutting carbon and fighting climate change. I see this every week. Even though we’ve been replacing these old units for decades, sometimes with detailed energy savings calculations, contractors still sell people these inefficient units because they have a low first cost. We know that the costs we should be concerned with are the lifetime costs of heating system because that is the larger and more significant cost. Spend a few hundred dollars more for a level of efficiency and safety more 2015 than 1979. I just had to pay $500 more for insurance because I do “BPI” work. BPI is the Building Performance Institute, a non-profit organization that teaches and certifies contractors how to test houses for carbon monoxide, gas leaks and energy efficiency. (They do more really. Check out BPI.org). That means that I do the tests of houses with old-style open-combustion gas appliances. If the houses that these appliances are in ever get a strong enough negative pressure in them, combustion gasses can escape inside and sicken or kill the people who live there. This is why we should not sell these units anymore. Buy the cheapest 90% efficiency furnace, one that is sealed-combustion rather than an old-style open combustion unit. Not getting a furnace or air conditioner tested by a HERS Raters. The HERS energy testing industry in California speculates that some 85 or 90 percent of comfort systems are not tested by a third party inspector after installation. Nobody really knows the real answer. If the California Energy Commission does know, they are not letting on about it. However, in California, code requires third party HERS duct leakage and air conditioner testing. Do these undocumented systems perform to the manufacturer’s, Federal and state government’s energy code specifications? Does it blow the right amount of air? How much does the duct system leak? Does the air actually go where it is supposed to? Is there a gas leak? Will it help California’s buildings become 50% more energy efficient by 2030 to comply with Senate Bill 350? We’ll never know the answers, because it didn’t get tested. Oversized air conditioning and heating systems. Every day I see HVAC contractors install furnaces just as they have been doing their entire careers. They put in a 66,000, 80,000 or 100,000 btu per hour furnace in a house that might need a 40,000 btu per hour unit. The same thing happens with air conditioners which use far more electricity. There are some perverse yet strangely logical reasons why contractors do this. I won’t get into that. Why are these systems oversized and wrong-sized? Because installers use simple and incorrect “rules of thumb” rather than doing the math like professionals. Of course, the energy code in California requires that HVAC system be sized according to the ACCA . This means that the HVAC contractor is required to use software such as WrightSoft and input the building plans into the program including volume, windows, wall assemblies, insulation and orientation. This is what I see in my work. Of course, as noted above, as a HERS Rater I only see the 5 or 10 percent of work by contractors who actually have contractors’ licenses and get their work inspected. What about the other 90 percent? I can only guess that with no one in back of them testing their work, demanding that they do it right, that it is probably less-than-code compliant work. Even those contractors doing everything right mostly just scrape by passing code by a thin margin. I suspect that if the California Contractors State License Board and City and County Building Departments actually clamped down and forced code compliance, and the requirements that HVAC installers obtain a contractor’s license, get building permits and get their work tested, that energy use would go down and California citizens; energy consumers and carbon emitters, would have systems that work properly and provided more comfort, energy savings and climate mitigation. Every HVAC system uses natural gas, electricity and creates combustion gasses. Each of these can kill you. It makes sense to follow the building code and energy code and inspect and these systems that are found in every California house. The way to the above is to use State, Utility sponsored and Federal energy programs to reduce your energy use and buy your own renewable energy system. Rebates and tax credits help to incentivize these programs. The programs ensure that only certified and trained contractors participate in the program. They also ensure quality by testing and documenting savings to ensure health, safety, compliance and guard against fraud. In California, a homeowner can get into a wide variety of City, state, Utility sponsored and Federal programs to help them become energy independent. FINANCING: First, financing of energy investments and upgrades is available via PACE, Property Assessed Clean Energy loans. These are loans that you pay back through your property taxes as a voluntary long-term assessment. If you own your house, are up-to-date on property taxes and have no liens, you qualify. No credit checks are necessary. These are helpful for those whose credit was ruined by the 2008 economic meltdown and are reestablishing credit. Check out California First and HERO. MUNICIPAL PROGRAMS: Cities such as San Francisco, Berkeley, Walnut Creek and Pittsburg have municipal programs. Search for your particular city and see what they want to do to help you do. Walnut Creek has a solar bulk buy program with a list of participating contractors who are trained and insured to City specs (high). STATE PROGRAMS: The State of California has Energy Upgrade California in which pairs home owners with trained participating contractors who holistically assess a house and come up with a custom menu of items to insulate, air-seal, upgrade furnaces, air conditioners, ducts, windows, walls and improve air quality via better ventilation. There are some big rebates for this. You could potentially get $6,500 if your house is a energy hog getting the full energy efficiency makeover. FEDERAL TAX CREDITS: As of this writing the Federal tax credit for home solar energy is still a go. It lasts til the end of 2015. In California the electric utilities are pushing the California Public Utility Commission to lessen the now solar-positive rate-structure to one in which will be less of a money saver. So get yourself in contract to purchase solar before the end of 2015. MULTI-FAMILY PROPERTY INCENTIVES: Multi-Family Apartment owners can get a State tax credit when they remodel. In the commercial apartments industry, units are rehabbed about every ten plus years. Wouldn’t you like to do an energy retrofit while you remodel? The PCAC Tax Allocation Committee tax break gives you back tax dollars while you guarantee future apartment dwellers low energy bills and comfort for the next few decades. COMMERCIAL PROPERTIES: Have an old commercial building that you’d like to do an energy retrofit on? PG&E’s Retro-Commissioning program provides rebates for equipment retrofits based on savings and technical assistance to help building systems run at top efficiency. No cash on hand for the project? Use PG&E’s on-bill financing. You can get a zero percent loan for up to $100,000 for approved energy efficiency installation projects. Building a new house? The California Advanced Homes Program can get you incentives and technical help to build your house 15 or 30+ percent more energy efficient than the energy code allows. You’ll want to start early in the planning process with your energy consultant to bring all the players in the design and construction of the house together to act as a team. SCHOOLS: In charge of a school? Prop 39 money is available for lighting, air conditioners, heating systems and solar roofs. Find a qualified energy auditor who can model the building and it’s energy features for a before and after energy cost analysis. Better lights create better learning. Well lit and comfortable spaces with good air quality allow students the comfort to concentrate on their learning rather than the draft in the room or irritating lights that causes eye strain and headaches. The financing is right here to make our schools great places to learn. Doing all these things together? That is how we create an energy efficient economy that lessens our dependent on the Middle East, oil spill disasters, local air pollution and mitigates carbon-induced global climate change. Ready for the next energy economy? It is just waiting to for you to act. There is plenty of help and financial assistance here now. Go now, do it, make it happen. Before buying a new system or contracting for the repair of an existing air conditioner/furnace and ventilation system from a licensed California HVAC contractor, there are a few important questions to ask. Consumer protection agencies usually suggest interviewing at least 3 contractors before making a purchasing decision. A new HVAC system will effect your energy costs for decades. First, ask which method the contractor uses to calculate the size of the air conditioner and furnace. There are four code-approved methods. These use volume, insulation levels, glass type and size, air tightness and orientation of the shell of the house to calculate the correct unit size and “room by room” air flow. If the contractor uses a simplistic square footage “rule of thumb” from the 1970s, ask the next contractor on your list. The ACCA, the Air Conditioner Contractors of America, have published paper calculation forms for a long time, probably since before your contractor was born. “Please tell me about your duct design process….” If you are met with a blank stare or surprise, ask the next contractor on your list. These days, software, such as Wrightsoft, is commonly used to guarantee correct system sizing and CFM of air-flow to each room in your home. Ask them about total airflow. “How many cubic feet of air will this system move?” New California A/C systems are code-required to move 350 cubic feet of air per ton of cooling (12,000 BTUs). Top notch contractors are delivering up to 550 CFM per ton, providing more comfort and efficiency for our dry climate where we don’t need to remove much, if any, humidity. Ask about the duct leakage rate they will be providing to you. Code requires 6% or less leakage, existing systems must have less than 15% leakage. Experienced contractors routinely hit the 3% level while hot-rod-high-efficiency contractors sometimes beat 1% leakage. How much will my heating and cooling bills be after you install a new system? “There is no way to tell…” is not the response that you are looking for. More advanced contractors will be able to model your house and new HVAC system in a software program such as EnergyPro and be able to give you a good idea what your future costs will be. Ask what type of motor will be in the new equipment. Air conditioners depend on the fan motor of the furnace, to move system air. The two types of motors are standard and ECM, electronically commutated motors. Standard motors are either on or off. ECM units are more efficient and often able to vary their speed according to the need for cooling. One of the required tests performed by California HERS Raters is called Fan/Watt Draw. The test measures how many Watts (power) of electricity it takes to move one (1) cubic foot of air. A system must use less than 0.58 watt per cubic foot of airflow. The difference between passing and failing the test could be an ECM motor and a well-designed duct system. Your in-the-know HVAC contractor should be able to point you to a PACE, Property Assessed Clean Energy loan provider. PACE loans require no credit check as long as you own your own home with no taxes owed or liens against the property. Our application process took about 5 minutes before approval! If your contractor can answer the above questions to your satisfaction, your next question might be, “When can you start?”.